That is how it all started. Most of us get angry when we read this. Lucifer wants to dethrone the Creator of the Universe. In his unholy pride, he wants to be God. There is only One who is fit to sit on this throne and it isn’t the Devil. 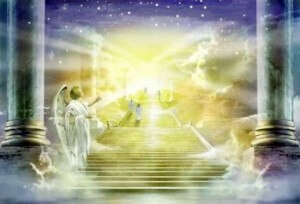 His throne is in Heaven, but there is also a throne in the heart of each man. Who sits on the throne in your heart? Are you fighting for your rights, will, and way? Or are you surrendered to His? There isn’t room for two on God’s throne. He alone can fulfill the purpose of Father. We are so unqualified. Getting on that throne is sin. Not allowing God to be enthroned in our hearts is sin. Thinking we can do it better is sin. He is able, we are not. He knows everything, we do not. Our flesh is weak; there is NO weakness in Him. How can we be so foolish as to think we could ever sit there? “God is on the throne,” I hear you say. Do you listen to Him? Do you do what He tells you too? Are you too busy for Him and His Kingdom? Do you live like the world? Is your faith in Him, or your own abilities, or the government, or another person? There are many signs that prove a lack of a true king on the throne. These are just a few. It’s not my throne, and it isn’t yours. Anyone who sits there besides God, is an usurper, and imposter, a tyrant, and a thief. It’s not because He is selfish, it’s because He loves us, and knows that He is the best person to reside there. If you have found yourself there, or any person or thing besides the true King, step down and allow Him to reign in your heart and life. You’ll be better for it!